Enabling local young minds to learn multi-disciplinary competencies needed to become, Global Leader- Managers and Entrepreneurs, committed to excellence. To create a learning atmosphere that promotes Creativity, Ethics, Integrity, Intellectual Freedom, Know- How and Professionalism for simultaneous well-being of Individual, Organization and the Society. The PG department of Business Administration commenced from the year 2008 with an intake sanctioned strength of 60. The department has grown steadily and today it has 10 highly dedicated faculty members with international and national paper publications and presentations. The department organizes Guest Lectures, Seminars and various training programs with the help of industry personal and academicians of National and International repute to help students to keep abreast with the latest developments in the field of Management Studies. 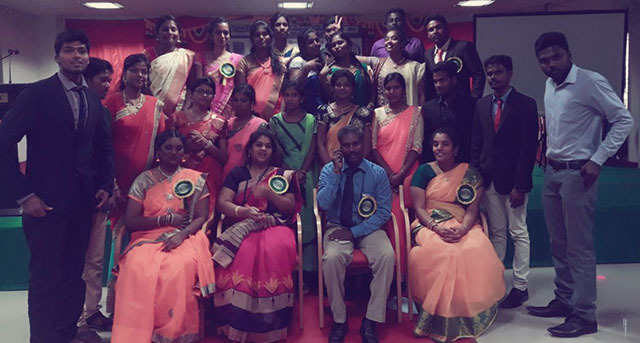 Special care is taken not only to develop the academic skills but also soft skills of the students through teaching methods like News hour, Case study, Seminars, Simulation exercises, Management games, Industrial Visits, Summer Projects etc. We have a computer laboratory as per the norms of AICTE and Anna University, exclusive for the department with licensed SPSS17.0 software at par with IIT’s and IIM’s where the data collected for projects are analyzed with multivariate techniques. 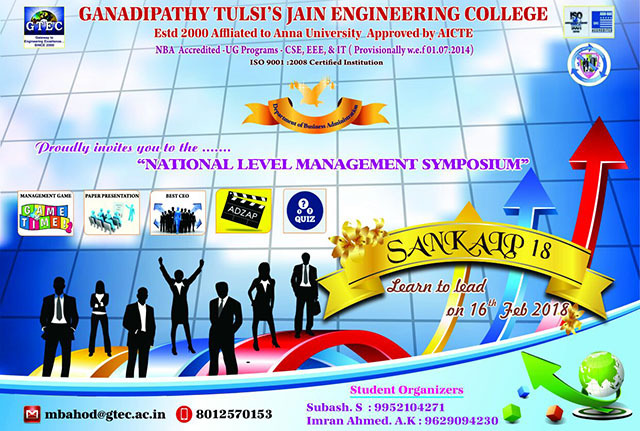 Every year the department organizes a State level Management symposium “SANKALP” which attracts participation from numerous colleges from different parts of the state. The department has been accredited by ISO. 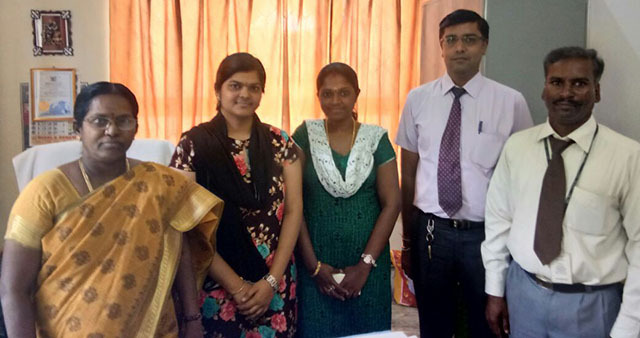 Mentoring is done with utmost care to have personalized inputs to the students. Special / Remedial Classes are conducted for slow learners. Students are encouraged to take part in various National / International Conferences / Events and guided to present papers in such events. The department has bagged many University Ranks. 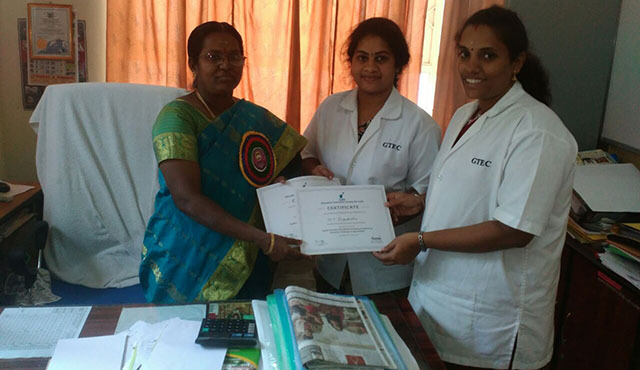 In delivering the course, the department, since its inception, has been in constant pursuit of improving excellence. Our endeavour is to produce the best managers and administrators who will serve the growing needs of the country in all the functional areas in business by updating the current scenario. Here, we strive to produce world class professionals who can compete with the industry’s best standards. 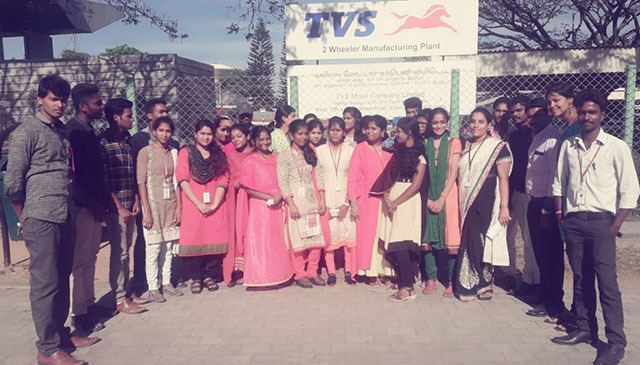 We have Industrial Visits and Summer Projects / Internship for the students by which we try to impart practical knowledge to the students. 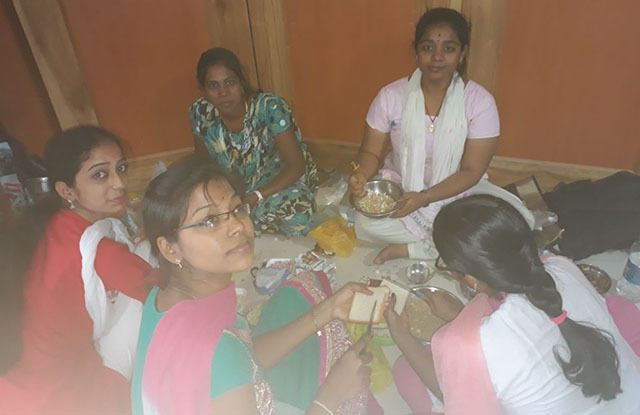 The basic purpose behind every such event is to nurture future business leaders and entrepreneurs in various sectors of Economy, Government and Non – Profit Organizations with focus on value creation and responsibility towards all stakeholders for a sustainable society based on Human Values, Ethics, Science and Indian Culture. 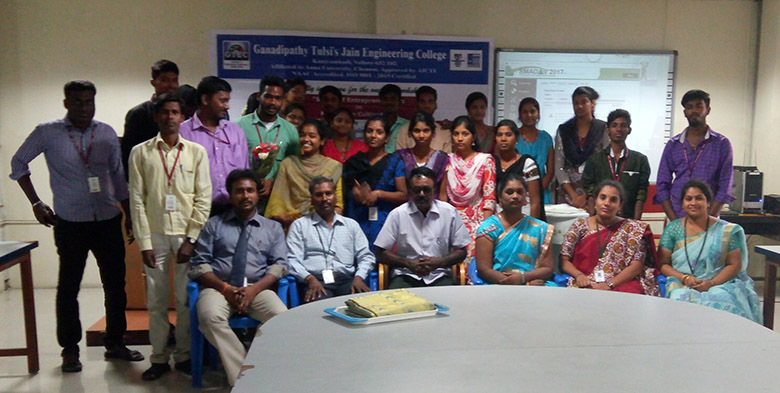 We believe that the students need to enhance their Managerial skills, sharpen their innovation and passion for learning and therefore we encourage our students to involve in several Industries oriented projects like BHEL, SAME Deutz Fahr, Greaves Cotton, TEL, Nutrine Confectionery Ltd, Co-op Sugar Mills, Rane Engines, Malladi Drugs and Pharmaceuticals, Thirumalai Chemicals, Nag Leathers, KH Shoes, Karvy Stock Broking Pvt Ltd., Sharekhan share Broking Firm, Ambalal Shares and Stocks Pvt Ltd., ICICI Prudential Life Insurance, Design Classics Exports Pvt Ltd., Ganesh Motors, Coromandel International Ltd., B & B Builders, Cooperative Town Banks, Indian Overseas Bank, Aston Shoes, Arni Cooperative Town Bank, TVS Madurai, Mistsubishi Heavy Industries India Precision Tools Limited Ranipet, Harish Food Zone Chennai Port Trust, Ultramarine pigments Ltd., Techtree Technologies, Delphi TVS, Cambodia Mills, Farida Shoes Pvt Ltd., Hexaware Technologies, Lucas-TVS Ltd., Birla Tyres, Ashok Leyland, Worth Trust, Wheels India Ltd., Exide Industries Ltd., Pudiya Thalaimurai, Chennai, CAPARO Engineering India Limited, Voltech Manufacturing Company Ltd., Indian Telecom Industries, Bangalore. 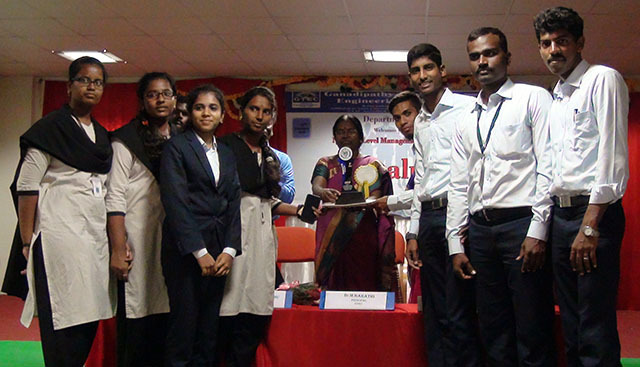 The Placement record of the department is excelling and is towering every year. The department poses an excellent and progressive academic record. Above FIFTY PERCENT of our students have been placed in various reputed companies like TCS, India Infoline, Ambalal Financial Services, Mahindra, Universal Mobile, Videocon Electronics, Emphasis Pvt Ltd., G4s – Security Services, CAP Gemini, Baba Soft Traders, Samsung, Geogit, CMC, L&T Highway Project, Standard Chartered, Hero Honda BPO, Manapuram Gold Loan, Jothi Engg&Tech, Same Duetz Fahr Ranipet, GRT Regency- Vellore, Karbon Mobiles, MTT.Ltd, Florence Shoes Pvt Ltd, Bharathi Arts& Science College, Adhiprasakthi College of Engineering, VICT Arni, Susee Hyundai Motors, Sri HR Consulting Services, Chennai, Tata Interactive Systems, Ashok Leyland,Hatsun Agro Products Ltd., etc. 3 Ms.V. 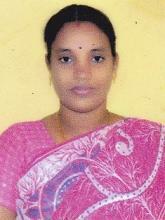 Priyadarshini MBA.,(Ph.D) Asst.Prof. 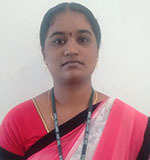 4 Ms. B. Nandhini MBA., Asst.Prof. 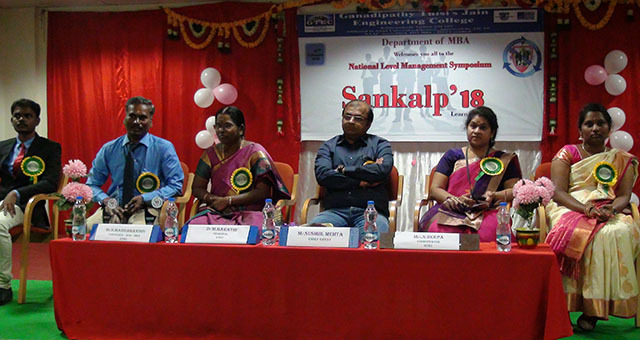 MBA Department conducted Symposium SANKALP’18 on 16.02.2018 Chief guest Sushil Metha, Managing Director of Jain Cars, Chennai. 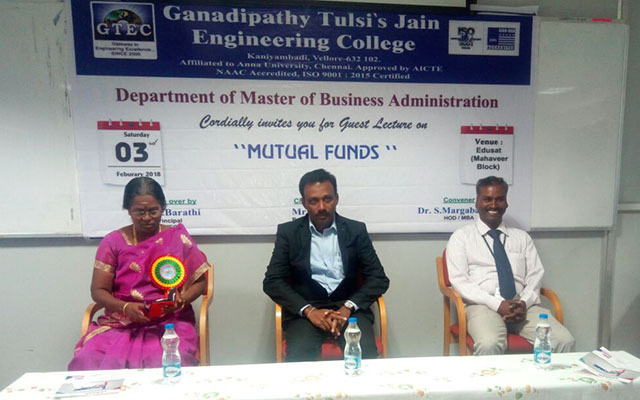 Expert Speak session on “Mutual Fund Trading” organized by MBA Department on 03.02.2018 Chief guest Mr.V.Ravi, Managing Director HDFC Mutual Fund, Chennai.